World Heart Day is celebrated each year on 29th September in order to make people aware about heart related diseases and the increasing number of deaths due to this. This year’s heart day was focus on "Creating Heart-Healthy Environments". 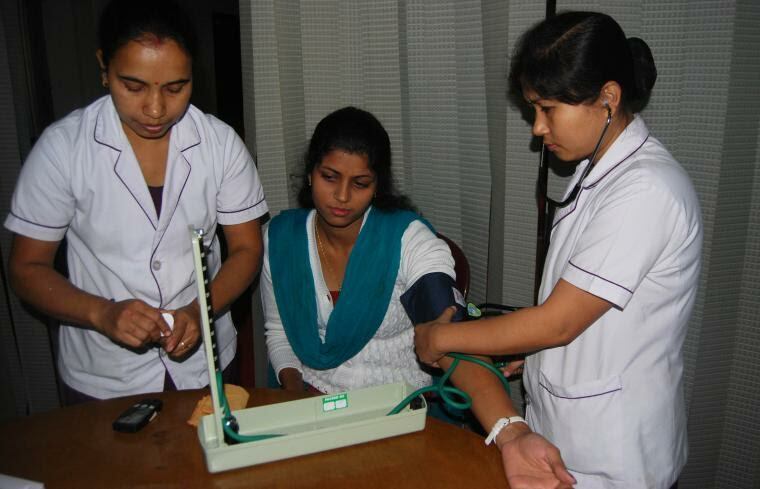 Therefore, with the aim of achieving a disease free healthy society, Institute of Apparel Management (IAM) gurgaon organized a one day free heart check up camp at their campus. It was extended for general public and more than 200 people including the students and faculties of IAM got themselves checked. The various tests conducted under this camp were blood sugar test, ECG, blood pressure monitoring and height, weight & BMI Monitoring. People were examined for general health parameters, obesity and heart check up. Various heart ailments like high blood pressure, coronary artery disease, valvular heart disease and congenital heart disease were detected in people. Speaking on the occasion Mr. Somesh Singh Director, IAM said, “As per our lifestyle we are more prone to heart diseases. Therefore, to create awareness about heart diseases and importance of regular check-up we organized this heath camp". Mayank singh, resident of sector-44 said, “Earlier I used to consider myself as a healthy person but after my reports and medical examination I understood 5years down the line I will be prone to heart diseases. It’s a good initiative by IAM to create awareness on health diseases. The camp provided free diagnosis and consultation by expert doctors. They also explained that if four main risk factors – tobacco use, unhealthy diet, physical inactivity and harmful use of alcohol are controlled then premature deaths occurring from cardiovascular diseases can be decreased to a large extent. Heart diseases and stroke are the world’s leading cause of death, claiming 17.3 million lives each year.